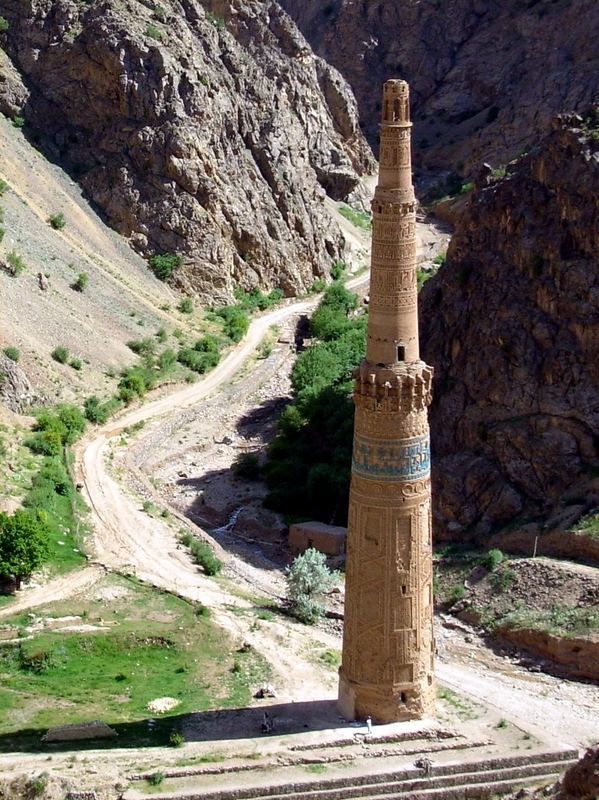 The Minaret of Jam, located in the district of Shahrak in the Ghor Province in western Afghanistan, is a famous historic monument and a UNESCO World Heritage Site with rich architectural and religious value. 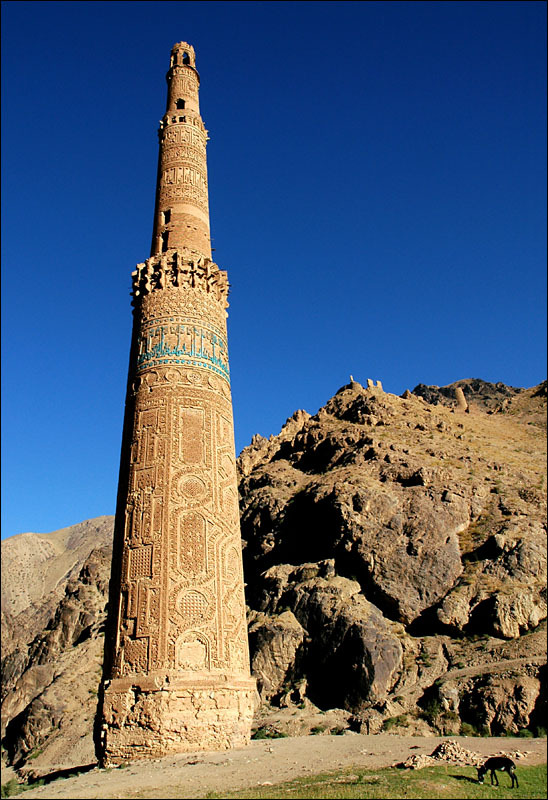 Situated in a picturesque backdrop, at the banks of the Hari River, the 62-meter high minaret is surrounded by a range of mountains up to 2400 meters high. 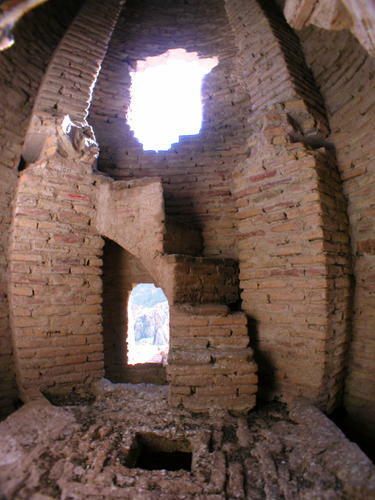 It was built in the 1190s, with the exact year remaining uncertain as the dating inscription is unclear. 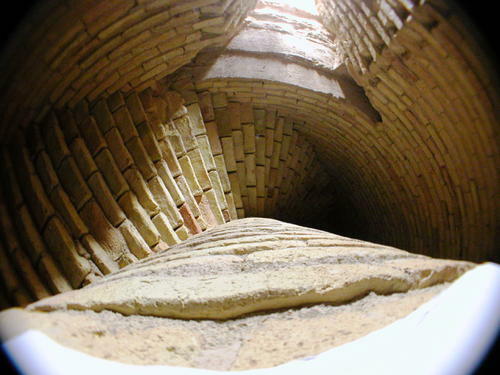 The baked brick construction is suspected to be situated at the place that used to be known as Firuzkuh or Firuz Koh, the summer capital of the Ghurid Dynasty. 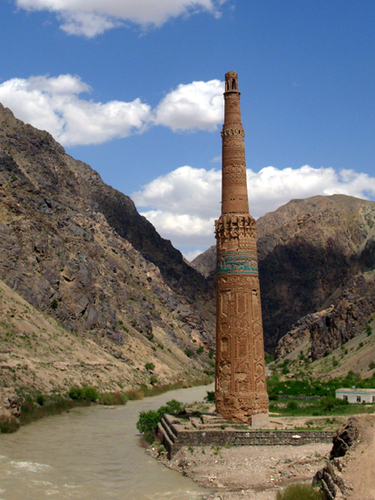 Flourishing between the twelfth and thirteenth centuries, the Ghurid Empire included what is the present day Afghanistan along with the northern parts of India, eastern Iran and certain regions of Pakistan. 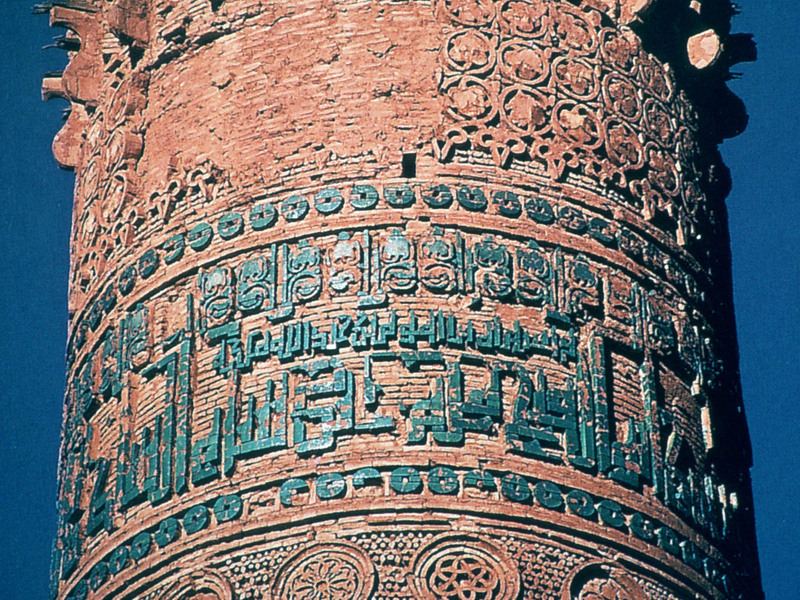 The unclear dating inscription prevents us from knowing the name of the builder or their purpose behind building this enormous structure. 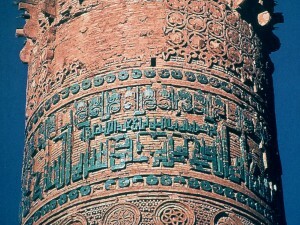 The Arabic inscription could read either 1193/4 or 1174/5. 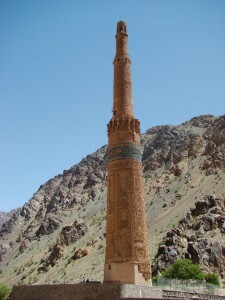 Therefore, the minaret might have been built to honor Ghurid sultan Ghiyas ud-Din’s victory over the Turkic Ghaznavid dynasty in Lahore, in 1186. 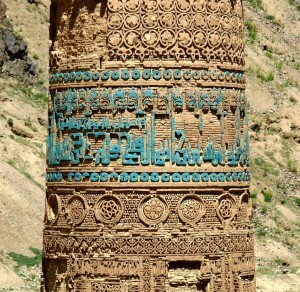 On the other hand, the later date introduces the possibility of it been constructed to commemorate the victory of Sultan Mu’izz ad-Din, the brother of Ghiyath ud-Din, over Prithviraj Chauhan. 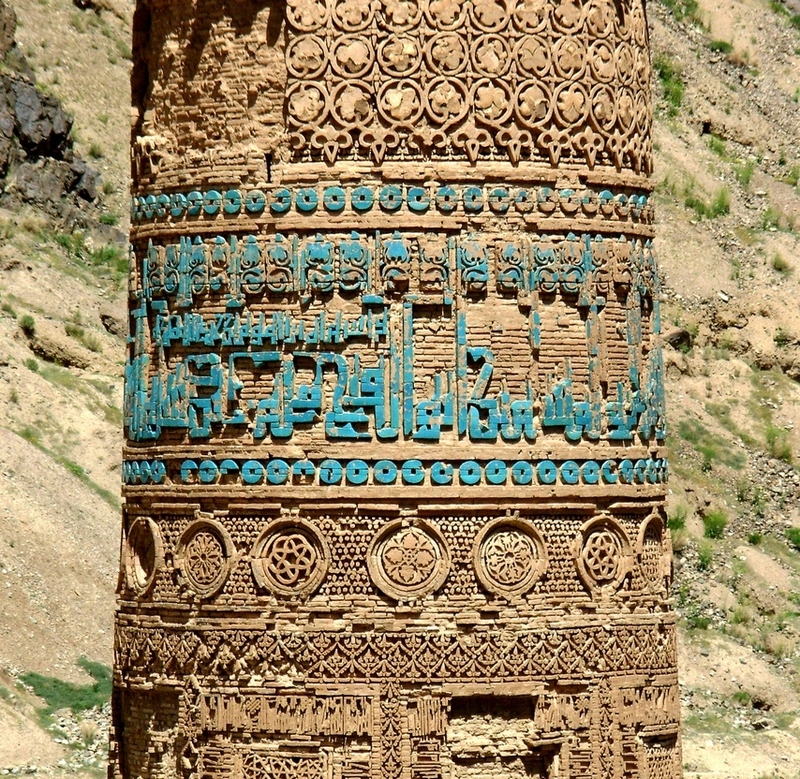 The intricate brickwork along with the glazed tile and stucco decoration include various geometric patterns, alternate bands of Naskhi and Kufic calligraphy as well as important verses and lines from the Qur’an (the sura Maryam, relating to Virgin Mary). 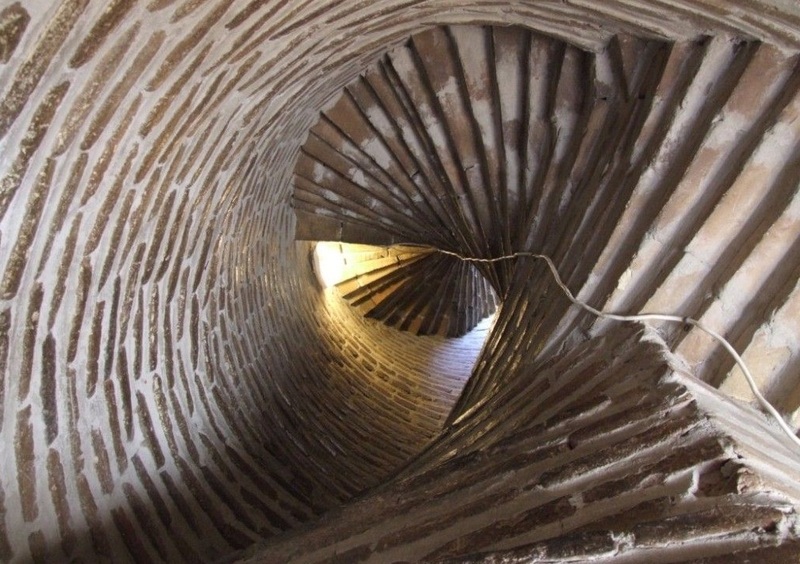 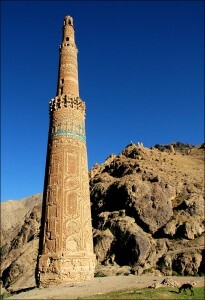 Some assume the Minaret of Jam to have originally been connected with the Friday Mosque in Firuzkuh. However, according to Persian historian Minhaj al-Siraj Juzjani, the mosque was washed away in a flood before the Mongols besieged the area. 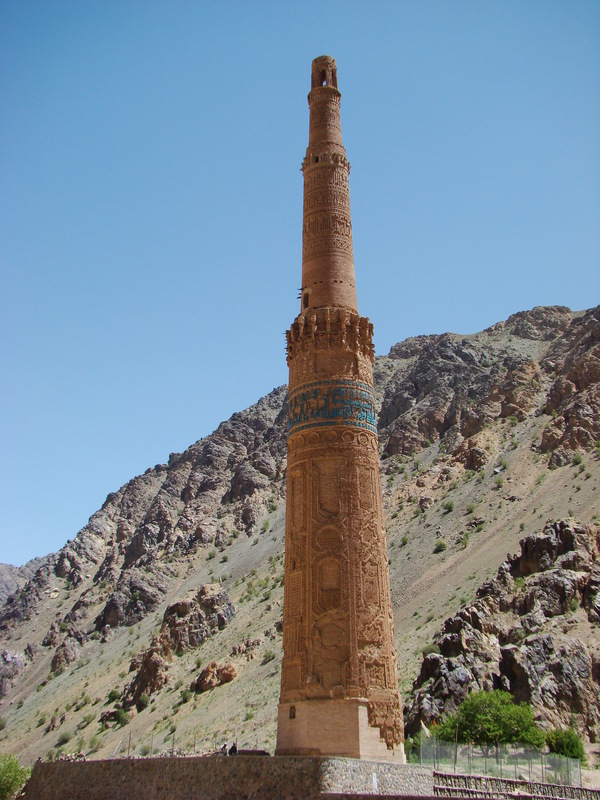 We are interested in you using your stories for a media project on Afghanistan and would like to use these Minaret of Jam photos. 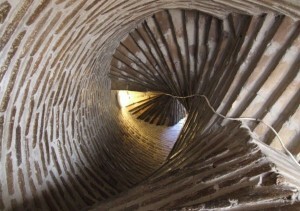 Please let me know the procedure for getting clearance.